Loch Ness Lake is situated in the Highlands of Scotland. Loch Ness is famous for its legendary monster Nessie which may have been seen by Saint Columba way back when; and that’s where the name comes from Loch (lake) Ness (Nessie Monster). Twenty-four miles long and a mile wide in places, it reaches a depth of some 700 feet. It stretches from Inverness in the north, flows all the way to Fort Augustus in the South through wild and rugged shoreline, and eastwards to Daviot through fertile farmland and the scattered communities in Strathnairn. The place has wide diversity and is just the anything a natural beauty lover would dream of. It also has a wide range of outdoor activities available right from cruises, climbing, Deer spotting, water sports, golf courses, pony riding to walking, cycling etc. Now, it has become easier to reach the loch as the hub and capital of the Highlands, Inverness, is well served by public transport and is the main point for traveling on to the wider Highlands. Inverness is connected to various cities in the UK via air, rail, road, and sea. The distance from Inverness to Loch Ness is approximately 100 km which can be covered by the various taxi services, bikes for hire or public transport available. Once you reach there, you may opt from the variety of accommodation services available like Bed&Breakfast (B&B), self-catering cottages, hotels, guest houses, lodges, log cabins and rented apartments too. To cater the food requirements, there are ample of hotels and restaurants ranging from quick snack bars to five-star hotels. 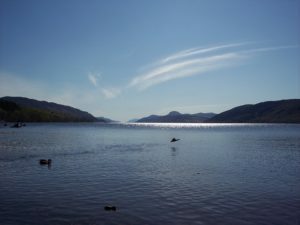 There are a great range of independent local shops and services around the Loch Ness area offering a wide range of quality products from the finest handmade tweed sporting clothing, Scottish gifts and locally sourced and produced food & farm produce to the little things like stamps and stationery. 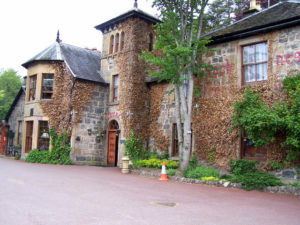 There is also a distillery named Glen Ord Distillery situated near Inverness which is a tourist attraction. It gives an overview of the making process and storage of the award-winning whiskey. 1. The Loch Ness Exhibition Centre– Situated in Drumnadrochit, it’s not just a monster exhibition, it tells the visitors about the history of Loch Ness and relevant amazing facts. A hi-tech multi-media presentation in 11 languages leads you through 7 themed areas and through 500 million years of history. It also sells genuine glass products made by iceberg glass and has a famous whiskey and Scottish Cashmere knitwear shop. 2.Castle Urquhart- A mile away from the loch, on the north shore of Loch Ness built in the 1200s, is situated a castle on a rocky promontory. Visitors can relax in the café and visit the shop with its local crafts and an outstanding array of medieval artifacts found at the castle. 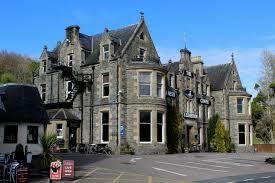 3.Fort Augustus- It is the spot for buying souvenirs shops with other facilities like a golf course, garage, hotel, tourist office, bank, post office, cash dispenser. 4.Glen Affric- It is a fantastic place to take a walk with the beautiful scenic backdrops all along. The route of the walkway is as long as 73 miles/117km, stretching from Fort William, in the south-west, to Inverness in the northeast. 5. 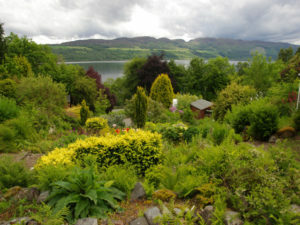 Abriachan Gardens- It’s a nursery of vivid, interesting plantings spread over three acres on the shores of Loch Ness, known for its high-quality range of rare and unusual plants and also consists of notable collections of Old Fashioned Primulas, Auriculas, Helianthemums and Hardy Geraniums. The natural beauty of the loch rejuvenates one’s senses and is just the thing for one to take a break from the busy schedule and relax!